Major layoffs at Siemens; Change at the top at Al Jazeera America; The UK goes to the polls; Will Deflategate take the air out of Tom Brady's personal brand? 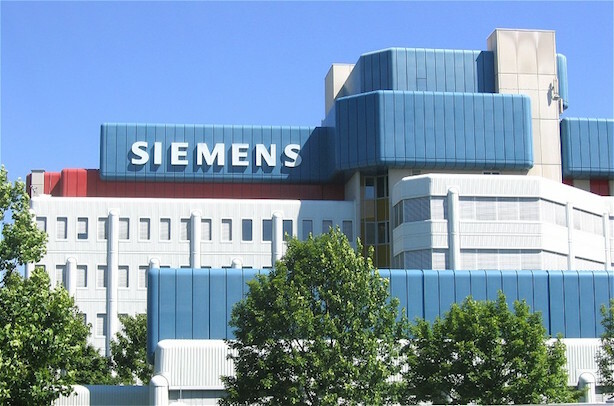 A Siemens factory in Munich. (Image via Wikipedia Commons). 1. Siemens is planning to cut 4,500 jobs around the world, it said Thursday morning, mostly in its power and gas unit and other underperforming divisions. More than 2,000 of the eliminations are planned in Germany, the company’s home market. Social-game-maker Zynga also said Wednesday that it will trim 18% of its workforce. 2. Al Jazeera America has replaced its CEO amid dormant ratings and a lawsuit claiming sexism and anti-semitism at the company. The two-year-old network, which is funded by Qatar’s government, has switched Ehab Al Shihabi with Al Anstey in its top role. 3. British voters are going to the polls in what’s being called the most unpredictable national election in decades. While the final tally could result in another coalition government, investors are relatively unfazed by the uncertainty, according to CNN Money. 4. Tom Brady has won four Super Bowls, but how much will "Deflategate" harm his personal brand? Columnists are calling for the New England Patriots quarterback to be suspended in the wake of the NFL’s report, released Wednesday, that said he most likely knew his team’s footballs were intentionally being deflated. 5. Facebook’s new, Frank Gehry-designed headquarters in Menlo Park, California, was revealed in Thursday’s Wall Street Journal. The complex reflects the origin stories of many Silicon Valley blue chips, resembling a garage, with an emphasis on openness.